The Coldest Girl in Coldtown | What YA Reading? Self-professedly, I am not a big fan of Holly Black. Aside from The Spiderwick Chronicles, and also the first chapter or so of White Cat, which needless to say did not send me any particularly good vibrations, this is the first real, live Holly Black book that I’ve read. And in all honesty, I am not impressed. First of all let’s get one thing straight: this book isn’t scary. If you are looking for horror, look elsewhere. 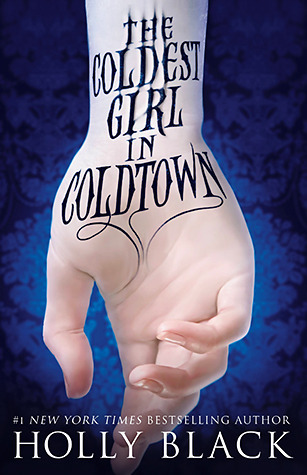 The Coldest Girl in Coldtown is really more of a paranormal type with a dash of trepidation than anything else. Sure, there are buckets of gore–quite literally– but truthfully the only thing that really gave me the jimjams was the Coldtowns’ questionable food-related hygiene practices. I don’t even want to think about the diseases carried by the rodents eaten at mealtimes. This isn’t to say that Black didn’t try. Au contraire, my friends. I’m happy to report that every chapter is preceded by a nice, cheery quotation about death. Although originally promising, this concept quickly began to grate on my nerves. It’s a drop superfluous, a tad redundant, and a wee bit ostentatious for my tastes. Also, for some strange reason, not at all relevant. Moreover this novel is somewhat lacking in the plot department. It’s paced rather slowly, and most definitely reads more like a series debut than the standalone it’s claimed to be. Although I did appreciate the climax’s plot twist, in essence The Coldest Girl in Coldtown is just another big book with a small storyline. On the more positive side of the plotless coin, the lack of transpiration of any real events leaves ample room for top-drawer world building. Really, my kudos go to Black for her sterling setting. It’s well done, all of it: the one-way tickets to quarantined vamp towns, the reality TV fan base hysteria, the subtle nuances between celebrity vampires and the monsters under your bed. The caricature of the vampires’ human cult following is pulled off to a T, actually; the Coldtowns’ romanticism of them is deftly detailed and addressed. And furthermore the characters’ flashbacks allow the world’s full backstory to take shape, which wholly satiated my curiosity’s appetite. 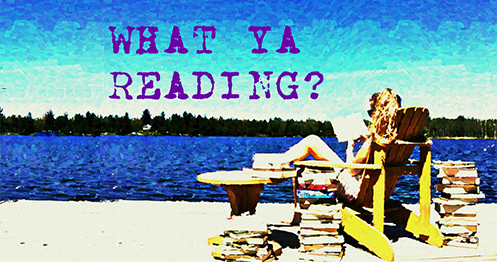 The assorted blog posts and articles littered throughout the novel are equally entertaining. There might not be much story to tell here, but it is undoubtedly well told. I want to take a moment to complain about Tana’s and Gavriel’s romance. Because frankly, the very bottom of my very romantic heart simply cannot comprehend why these two people like each other. (Aside from mutual physical attraction, but honestly, YA, I’d thought we’d moved past this.) So Tana saved Gavriel from an indubitably gruesome fate, so what? Surely that’s enough to inspire a helluva lot of gratitude, but nothing more. Nothing ardent. Nothing even remotely resembling love. Right? Because, really, if stashing a hog-tied guy in your trunk is all it takes to instill his undying affection, I don’t see why more of us aren’t putting this technique to good use. A final warning: The Coldest Girl in Coldtown‘s relationships are very modernist. The characters range the full spectrum of sexuality, which is indeed a wonderful message on Black’s part. However if your opinions are more conservative, this is in all likelihood not the novel for you. Will I be reading any more of Black’s books in the near future? I can’t say. I may be giving them the cold shoulder for a while. Recommended for fans of fanged and delusional love interests, admirably extensive settings, and death: liberally applied. 3/5 stars.